A few days ago I was noodling around with my 3D sketch for this build, but I decided to use LDD to flesh it out a bit more. It’s now so far from the original model in Tom Alphin’s book that I feel justified in calling it a MOC. I have expanded the 3D sketch even further, giving the build two side wings surrounding a central raised core. The upper levels are on the diagonal again, to give a bit of dynamism. 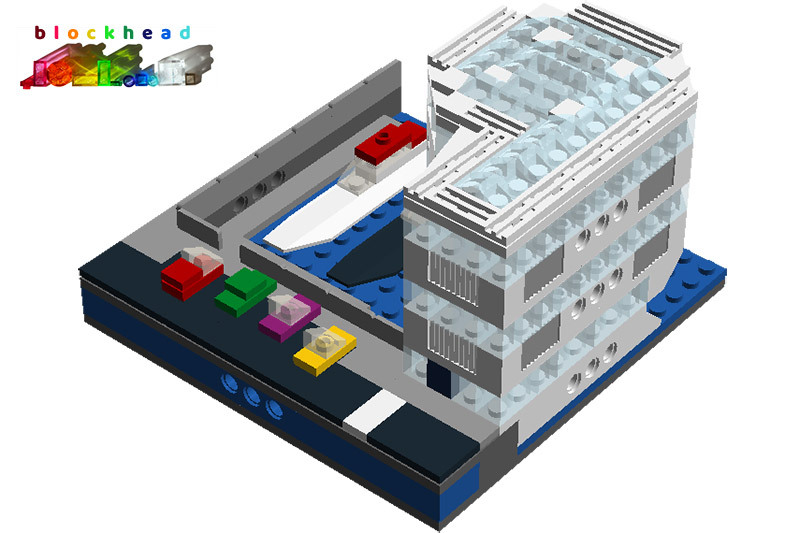 I would like to build this one sometime, I need to gather enough trans light blue bricks first, however. 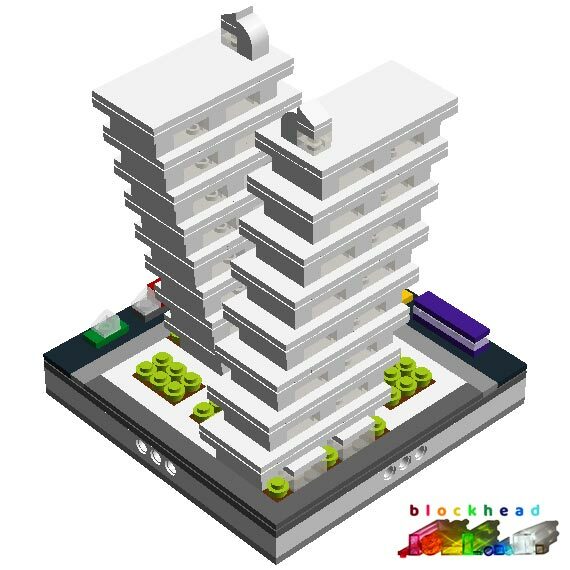 I fired up LDD after making the 3D sketch for this idea, no running out of bricks that way! 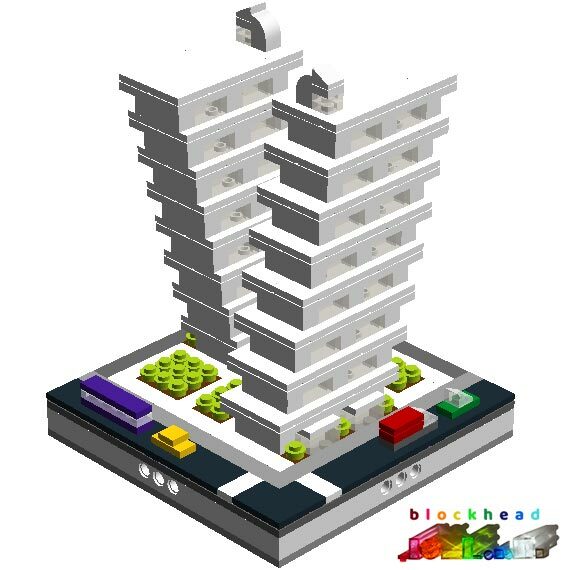 I kept building until I arrived at a height I liked, which just happened to be 8 floors – so it became Octo Mansions. 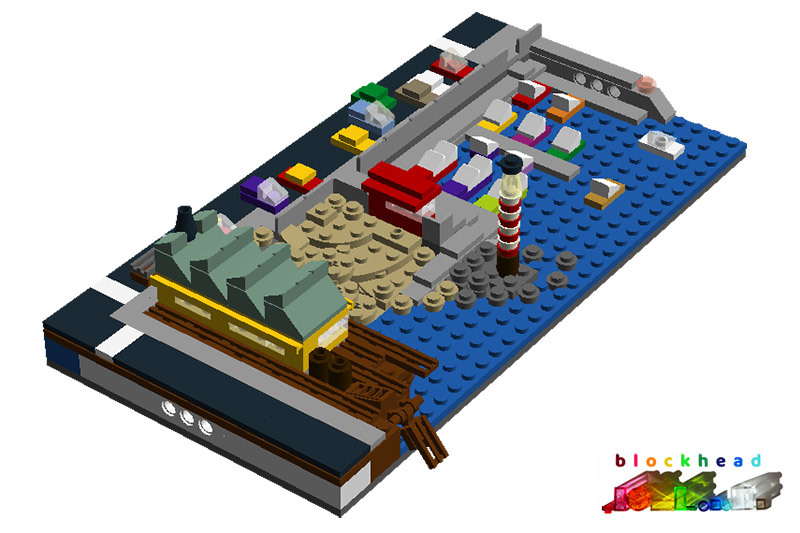 A companion block slanting the other way, and some landscaping on the Micropolis base plate and it was done! I did think about using another colour apart from white, (I had already changed to use smokey trans bricks for the windows instead of clear), but there were few choices which I liked where I the parts needed are available. 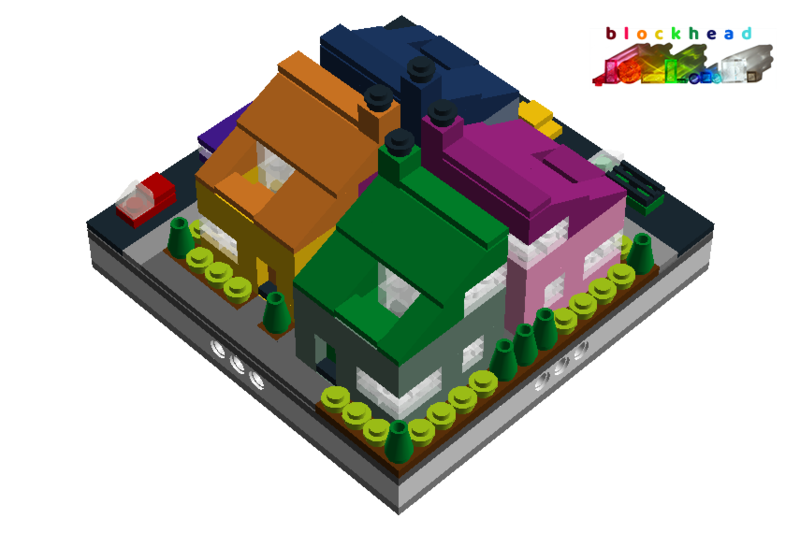 There are quite a few 1×2 jumpers required which are easy enough, but a matching Brick, Modified 1 x 2 x 1 1/3 with Curved Top (the pesky element which caused me grief with Rainbow Tower) comes in a fairly limited selection – none of which I really wanted to use for the whole model. So white it is. I wanted to give them a bit of colour, but was a little limited in choice with rooves and walls, as some of the more pastel shades I wanted to choose did not give me the bricks I needed! Adding some landscaping and an alley for rear access gave the module a bit more realism. I know they are rather squashed in, but just like real life, land is at a premium in a big city! 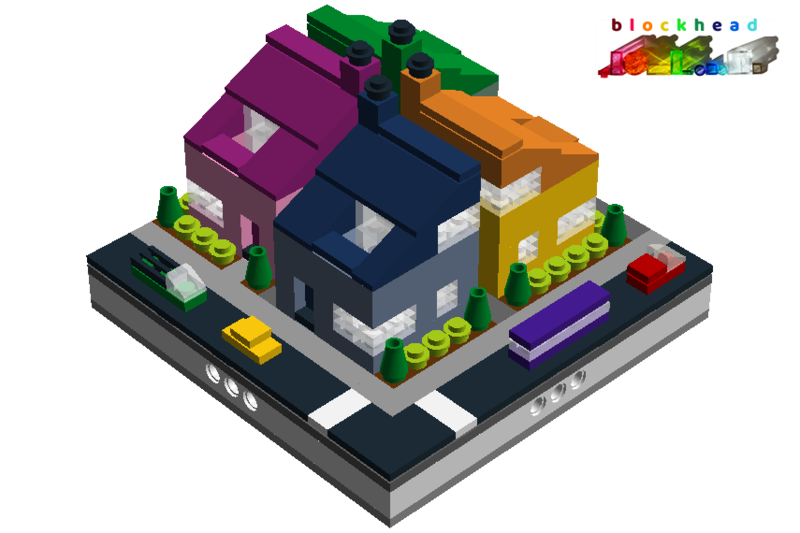 I hope to build these soon, as I would like to have a bit of residential property in my town. I had another idea for more waterfront property – this time a 3-storey cantilevered structure jutting out into the marina itself – called Marina Point. It’s an exclusive development, influenced by nautical themes, which only the super-rich can afford – but does come with its own moorings for the largest of yachts. 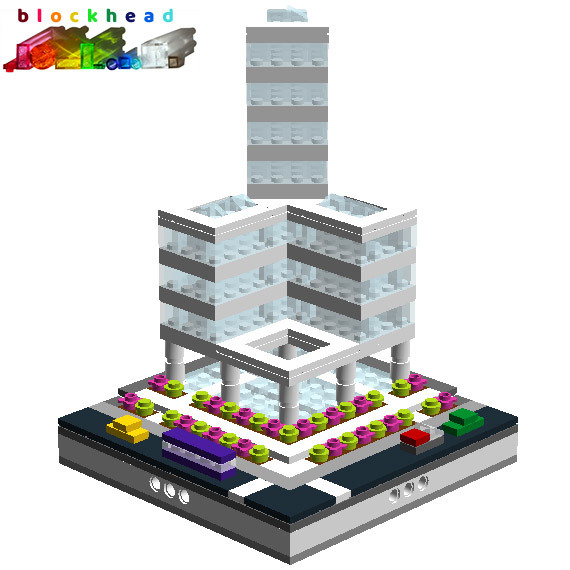 There is even some parking available next to the entrance – luxury indeed, in Micropolis. 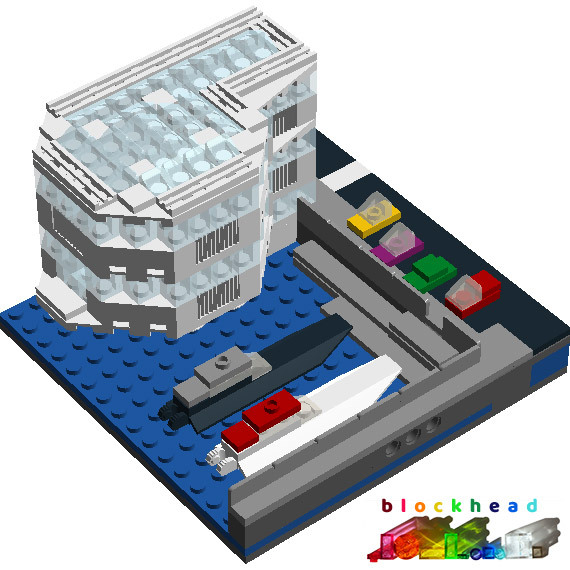 Virtual MOC Marina Point – Big Yachts! Having built three luxury apartments for my virtual Micropolis, I decided it needed a bit of scene-setting. 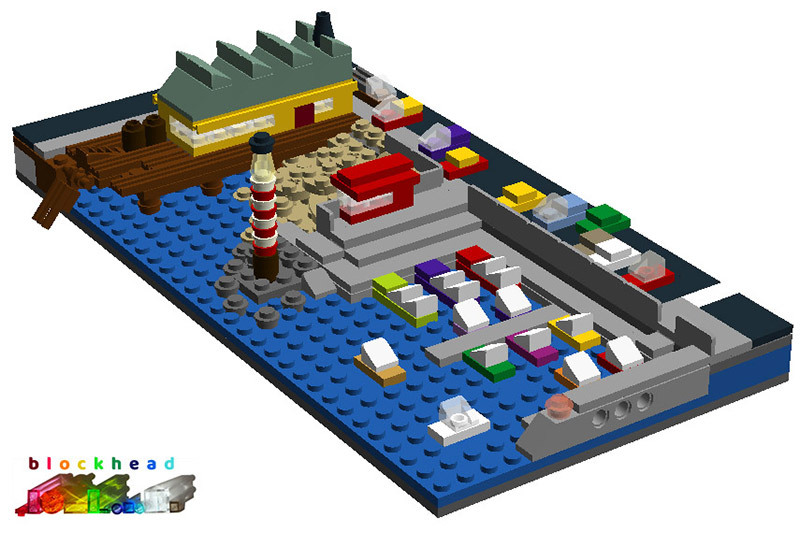 So I started designing Waterfront Wharf And Harbour which would look perfect in front of the high rises behind. The old Wharf has had its outbuildings refurbished into a Seafood Restaurant, but the pier is looking a bit dilapidated still! Best not go for a stroll along it after dinner. The Harbour Master has a little hut in the middle where he can observe the folks on the beach – dispatching the life guards if necessary, and also have an overview of the boats coming and going from their berths in the Marina. A treacherous stretch of rocks has a little lighthouse to warn marine traffic not to stray too far. Unless otherwise stated, all images and text © 2017-2019 Caroline Mockett ARPS, All Rights Reserved. 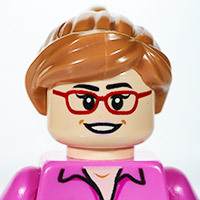 LEGO® is a trademark of the LEGO Group. 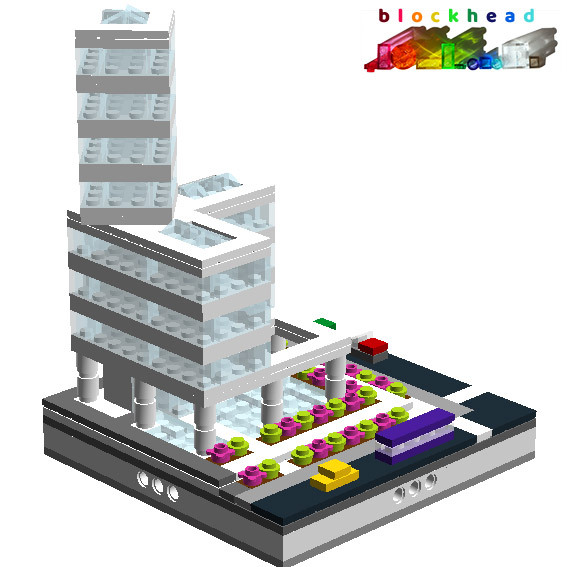 Blockhead is not owned nor operated by the LEGO Group. Design by Mockett Media. Powered by the Genesis Framework.